The Big Flash & The Emirates Flight - Engine Failure! A reader brought up this interesting story, whereby an Emirates A380 Airbus encountered a super bright flash followed by engine failure. It is assumed that something large enough, such as a bird, may have flew into the engine...though it is highly unusual at an altitude 30 mins into the flight, a bird of that size was large enough to damage one of the A380's (massive Trent 900 Rolls Royce) motors. 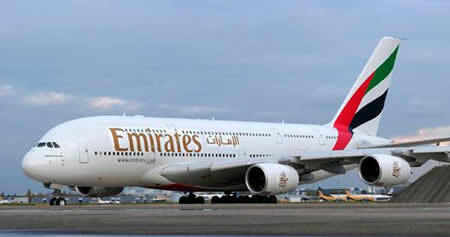 Passengers on board an Emirates A380 flight from Sydney say they saw a bright orange flash and felt the plane shake in a mid-air scare less than an hour after take-off.
" It was a bright orange light, I didn't see it for more than a split second, but it was still a very scary sight. "